Desc: Landstrom's Black Hills Gold Tanzanite necklace. 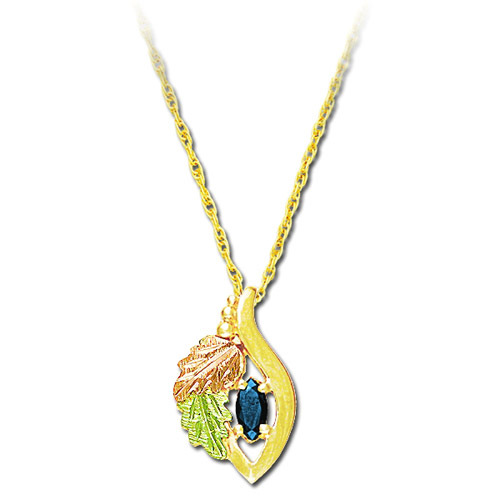 The marquis cut Tanzanite is prong set beside grape and leaf design. Any birthstone can be mounted in the place of the Tanzanite. Contact us for details. Made in the United States of America.